After more than three decades of dictatorial rule Robert Mugabe is finally losing his hold on power as his closest supporters turn against him. The infamous President of Zimbabwe is widely considered as the single biggest threat to stability and prosperity in Zimbabwe. 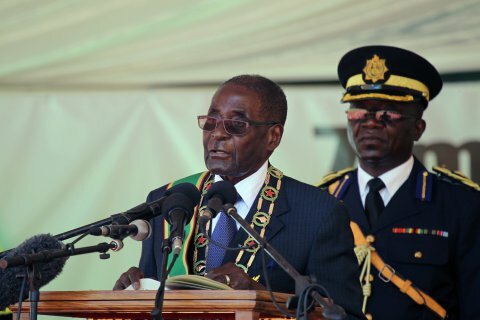 Zimbabwe war veterans described how Robert Mugabe and his allies had ‘devoured the values of the liberation struggle in utter disregard of the constitution’. Finally facing the truth. Zimbabwe’s main opposition praised the war veterans for ‘finally seeing the light’. The war veterans have realised Mugabe is sinking and with him his regime. They don’t want to sink with the ship. Like so many seemingly unshakable dictators before him, the Robert Mugabe tower is certainly starting to shake and crumble.